(Rushden, UK) – 23 July, 2013 – Belkin, creator of people-inspired technology products, today announced compatibility with Android 4.0 or higher devices bringing the simple, ingenious WeMo smart home platform to a greater number of mobile users. "Android users have been waiting for WeMo compatibility, and our ability to deliver on their request is an important next step in demonstrating our continued commitment to creating a simple, customizable home monitoring and control system that can be accessed wherever and whenever,” said Ohad Zeira, director of product management at Belkin. “With more than a billion Android devices expected by 2014 according to Gartner, expanding WeMo capabilities to Android devices is a necessary step for the continued success and evolution of the WeMo brand." 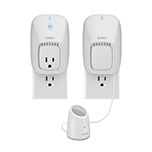 Compatible with most current and future WeMo devices, including the WeMo Light Switch, WeMo Switch and WeMo Switch + Motion products, the fully functional app enables users to control electronics on and off from anywhere via Wi-Fi® and 3G/4G networks. The app also integrates with IFTTT, an online service that creates triggers using different Internet-based services such as email, weather and social media. For example, you can use IFTTT to create a rule that will send a text to your phone whenever a WeMo Switch + Motion senses motion or trigger a WeMo Light Switch to turn on your lights when the sun sets. 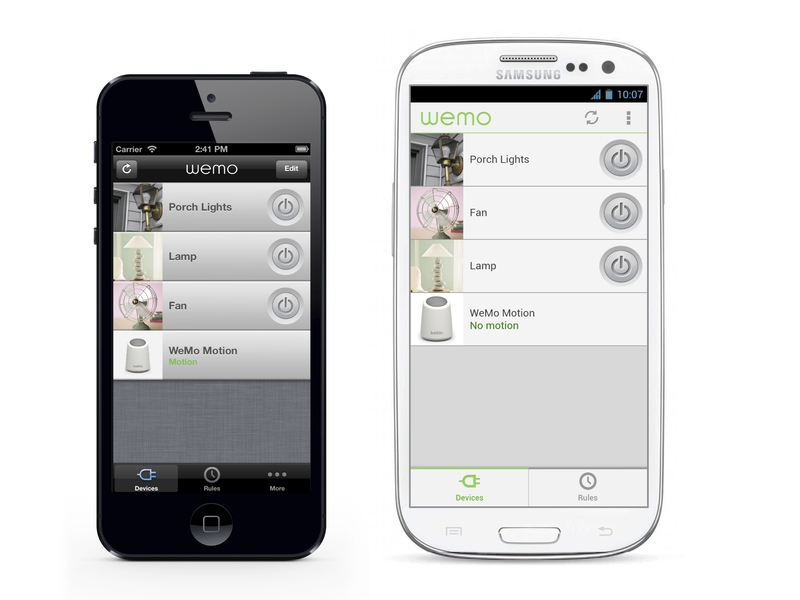 The free WeMo app for Android 4.0 or higher is available at the Google Play Store today at 1:00 p.m. PST. Belkin makes people-inspired products that harness the power of technology to enrich people’s lives. From wireless home networking and entertainment products, to mobile accessories for smartphones and tablets, home automation and energy management tools, as well as a broad USB and cable mix, Belkin products connect the dots between people and the things they love. A privately held company, Belkin was founded in 1983 and acquired Linksys in 2013, creating a powerful platform to deliver the next generation of home and wireless networking experiences. The new Belkin, including the Linksys brand and Belkin brand portfolios, has 1,500 employees and sales in more than 100 countries. Belkin’s global headquarters are in Playa Vista, California. To learn more about Belkin, visit http://www.belkin.com/uk/aboutus. Like us on Facebook at facebook.com/belkin.UK, and follow us on Twitter at twitter.com/belkin_uk.